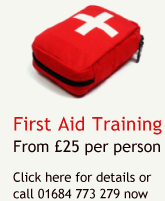 This course updates and refreshes previous first aid courses knowledge and skills. Students must hold an in-date First Aid at Work Certificate, if not, the full three-day course must be completed. Updates of the First Aid at Work course and a revision of requirements in your work place.